1. Diamonds are a girl's best friend. 2. Bye bye baby. 3.When love goes wrong nothing goes right. 4.You'd be surprised. 5.One silver dollar. 6.The river of no return. 7.After you get what you want, you don't want it. 8.Specialisation. 9.Heat wave. 10.Kiss. 11.She acts like a woman should. 12.I'm gonna file my claim. 12 Lazy. 14. Anyone can see I love you. Italian DVD, focused on the speech "I have a dream" from Martin Luther King in Washington on August 29,1963, less than 3 months before JFK was assassinated. Marilyn Monroe's confidante, business partner, artistic consultant and dear friend, Milton H.Greene was also one of his era's most sought after celebrity photographers. 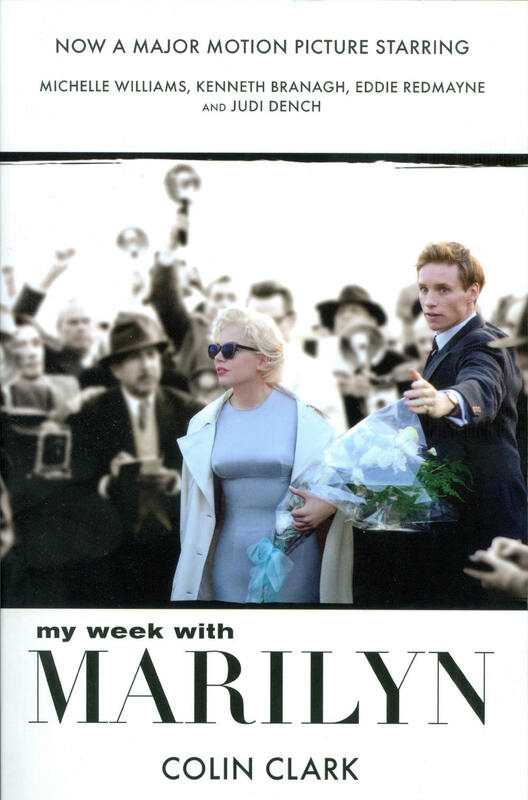 His proximity to Marilyn enabled him to capture images of her in poses and attitudes inaccessible to the hundreds of other photographers who pursued this engaging beauty. Now available for the first time in a mini-hardcover edition, the photographs in this rich and dynamic volume comprise what are undoubtedly the most remarkable portraits ever taken of Marilyn Monroe. For 15 yrs, Judith Exner kept a tight lid on her secret love affair with John F.Kennedy in the White House - until a Senate investigation smeared the story across the nation's front pages. In 1977 Mrs Exner, after years of FBI harassment, broke her silence with this book, revealing her story - tender, intimate and unvarnished - of a passionate romance between a stunningly beautiful Los Angeles girl and the charismatic President of the United States, and of her close ties to Mafia chieftain Sam Giancana. Special thanks to Yaacov (Itsyourturn.com) who sent me this book. In 1956, fresh from Oxford, the 23-year-old Colin Clark (brother of maverick Tory MP and diarist Alan) worked as a humble 'gofer' on the set of The Prince and the Showgirl, the film that disastrously united Laurence Olivier with Marilyn Monroe. This is the story of when Clark escorted a Monroe desperate to escape from the pressures of stardom. How he ended up sharing her bed is a tale too rich to summarise! Clark's extraordinary experiences on and off set have now been turned into a major film starring Michelle Williams, Eddie Redmayne, Judi Dench, Emma Watson, Kenneth Branagh and Dominic Cooper. The rise, fall and rebirth of Richard Nixon is perhaps the most fascinating story in American politics. Presidential chronicles and other outside sources have tried to capture it in full, but "Nixon: A life" is the first to succeed. This book is the first entirely objective biography of Richard Nixon. Jonathan Aitken conducted over sixty hours of interviews with Nixon and was granted unprecedented access to thousands of pages of Nixon's previously sealed private documents. "Our Man in Haiti" is a harrowing journey into the belly of the beast. Following the trail of George de Mohrenschildt, an obscure character lurking in the shadow of the JFK Assassination, Joan Mellen uncoversthe CIA's destructive machinations in Haiti from the 1950s until today. Signed book from author, when I met her in Dallas in November 2013. From finding JFK's Single Bullet to questioning Anita Hill to impeaching Clinton. In thus brutally honest book, Senator Specter analyzes these and other controversies, assessing each through both a legal and historical lens. Throughout, he tells the truth, naming names, identifying where the system worked and where it failed - and even admitting to his own mistakes. Arlen Specter brings all these events to life, taking the reader into the courtroom, the cloakroom, and the Senate Chamber, and offers a clear and honest vision for reforming the way Main Street and Wall Street are governed. As the successor to a martyred President, Lyndon B.Johnson sought to transform America into a "Great Society" of equal opportunity. Instead, he became the symbol of the most unpopular war in U.S. history. Michael Gambon, Donald Sutherland and Alec Baldwin star in a compelling drama of soaring ambition and shattered dreams, set inside the LBJ White House in the volatile years leading up to and during Vietnam.